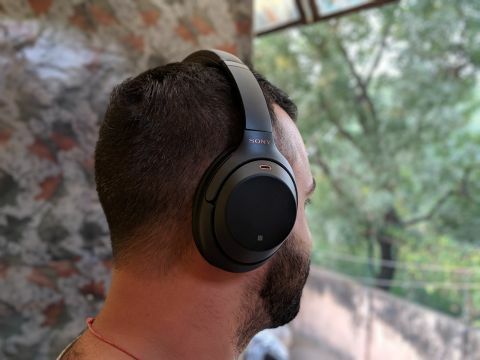 If Sony has been proving its technological prowess in their products, then the WH-1000X noise canceling headphone series surely takes a spot among the best. They’ve been so consistent with the Sony WH-1000X, the WH-1000XM2 and now the latest WH-1000XM3 that they have become a permanent recommendation in that particular segment. While the closest competitor Bose has done a tremendous job in enhancing their noise-cancellation algorithm, Sony still leads when it comes to perfecting the audio playback that is able to adapt as per changing surrounding and switch between multiple sound barriers for best audio. We can confidently say WH-10000X-series still has a dominance and credits to its features, design and advanced adaptability algorithms. The new WH-1000XM3 maybe a bit too close to last year’s 1000XM2, but the subtle tweaks like a more comfortable pad, improved bridge, lighter and premium design and a similar price make these headphones the new king of noise-cancellation. The Sony WH-1000XM3 are available in offline/online stores from October 18 at the best price of Rs 29,990, in Black and Platinum silver variants. The WH-1000XM3 is Sony’s flagship headphone, they’re feature-rich and are made of high-quality material. But that doesn’t justify the high price, as the audio here is what adds the premium price. Sony has put a lot of hardware inside the headphones to make them sound like a premium pair of headpohones should. There are four microphones located inside to power the noise-cancellation precision. To achieve this, it also requires a lot of software running, which means these headphone have a NC1 processing chip that runs calculations in real time. Also, the touch-capacitive earcup that can be used to control the music. These are some features that are not available in the competition and that’s why the price. The WH-1000XM3 gets significant upgrades in its design as mentioned earlier. In fact, the biggest changes are in the design of the headphones–they’re lighter and offer a better fit as well. Sony has changed the silver accents on the sides and their logo for a copper tone this time. The headphone weighs 20 grams less than its predecessor, which doesn’t sound huge, but every gram makes a huge difference as you’ll be wearing these for an extended period of time. The other major design change is the cushion padding on the bridge/headband, which makes them more comfortable while wearing. The curvature of the band is increased to result in a minimal gap between the band and the head to make it look better on the head. Further enhancing the comfort and hearing, Sony has also enlarged and deepened the earcup. Another noteworthy upgrade is the USB Type-C instead of a microUSB port on the right earcup for charging. The material used on the cans has a new finish, which is a lot smoother and neater contributing to better touch controls to play, pause and other controls. Despite the tweaks in the design, the WH-1000XM3 have relatively minimalist look and feel – which really appeals to the business-class customer Sony is targeting. Because the headphone is aimed at business users, the 1000XM3 comes in two subtle colors – an all-black or grey-silver. Apart from the copper color in the Sony logo on each earcup, there’s no other color tone used. If you’ve been following the 1000X series, you’ll probably know where Sony is hiding the playback options. They are on the right earcup in the form of a touch-capacitive covering. Controls remain the same as the predecessor – pausing is done by double-tapping and resuming is then done the same way, turning the volume down requires you to swipe down on the right earcup, and turning it up is done by swiping up. The system does take a little time getting used to, but once you’ve used them for 2-3 days, it slowly becomes a second nature. Of course, it does look cool when you do this in public. It’s given that if you’re buying a pair of premium noise-canceling cans, you’ll expect them to effectively block out the noise. In that arena, it’s fair to say that there is nothing better you can get at this price in the market right now. Sony claims the noise-cancellation on the 1000MX3 is four times more effective than the 1000XM2. When tested, the claim surely held true when tried in both low-frequencies like in a plane or a metro train, and in high-frequency surroundings like a workplace where there are noises of people chatting. In nearly every scenario the WH-1000XM3 performed admirably, often reducing noise from a disturbingly loud hum to a more manageable buzz – and sometimes eliminating exterior noise entirely. You also get an option to selectively allow some noises into the headphones. There’s an Ambient Noise mode, which allows voices like announcements at an airport or train stations, and the Quick Attention mode allows you listen to outside noise by simply putting your palm on the right earcup. This eliminates the hassle of taking off your headphones or reducing the volume, it instantly reduces the music volume and uses microphones located on the earcup to let the voice in. It’s a feature you won’t find on Bose headphones and one that sets Sony apart from the crowd. While there are solid improvements in noise-cancellation, the audio quality still remains somewhat similar to its predecessor. It would have been a disappointment if the 1000XM2 weren’t such an impressive pair of headphones in their own right. To give you an idea, mids are straightforward on the M3, the bass is now tighter and weighty, and highs sound crystal clear. You can read more about the audio quality in our WH-1000XM2 review. The headphones have got support for aptX HD standard, which means it will sound slightly better when used with aptX HD supported device. Moreover, they shine even more when paired with devices with support for LDAC codec. A welcome addition this time is the Google Assistant integration. The feature wasn’t initially available on the WH-1000XM3, which gave the Bose QuiteComfort 35 II an edge against the M2. But the 1000XM3 makes up for it and gets the feature to the series. Now you ask the Google Assistant anything with a single tap of a button on the left earcup. The last but an important aspect of performance is the call quality. We tried several phone calls in both isolated and crowded surroundings and the people we spoke to reported that we sounded slightly quieter, but clear. In a crowded surrounding, you need to keep your palm to cover your mouth to sound louder for a smooth call. In all honesty, the headphones are fine if you have to get on occasional call, but they’re not for frequent phone calls in an office setting or outdoors. This is one area where Sony can improve a bit and make the call quality pristine. The battery life and charging time is my favorite feature of the 1000XM3 (of course after noise-cancellation). Sony claims 30 hours or battery backup, which turned out to be correct in our testing. I’ve used the headphones for more than 20 days now, and I’ve only charged it thrice during the time. To verify the claims, I started with full battery on Monday having used it for around 3 hours on average every day during work. The headphones didn’t need to be recharged for the whole week. In fact, when checked on Saturday, the headphones were still left with 35% of battery. For comparison, that’s about 10 hours more than the Bose QuietComfort 35 when used wirelessly. The Quick Charge feature makes the 1000XM3 even more appealing as a travel companion. It allows you to get around 5 hours of playback with just 10 minutes of charging. When tested, we went from 20% tp 40% after exactly 10 minutes of charging. This time, Sony also allows you to shorten the time M3 takes to go to sleep. The default time is 15 minutes, which can be reduced using the Sony Headphone Connect app to five minutes if you really want to get most out of the battery.